Our firm specializes in tax planning and preparation for individuals and small businesses. We also provide payroll services on a weekly, bi-weekly, or monthly basis. In addition we assist in the set-up and provide support for QuickBooks software. We are a licensed CPA firm, offering year-round friendly services, and are knowledgeable and accredited in taxation and accounting. We are closed April 16th and April 17, 2019. We will resume our normal business hours on Thursday, April 18, 2019. 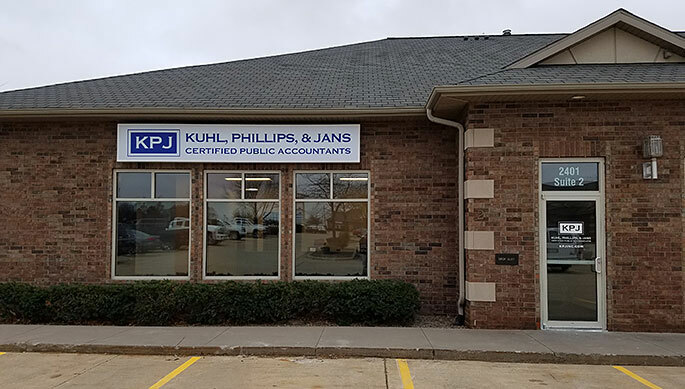 Kuhl, Phillips, & Jans, Inc. has been proudly serving the IC/CR corridor for 25 years and counting! Situated conveniently off Hwy 965; we are easily accessible and our vast experience will provide solutions to all of your tax needs. We are a locally owned business, unlike the "chain" preparers and offer a reasonable alternative to the larger CPA firms and non-licensed accountants.